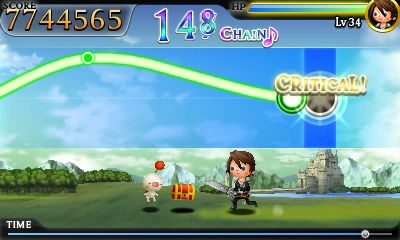 After a rather anxious wait, Final Fantasy fans can rest easy — Nintendo 3DS music-battle title Theatrhythm Final Fantasy is coming to North America and Europe this summer. 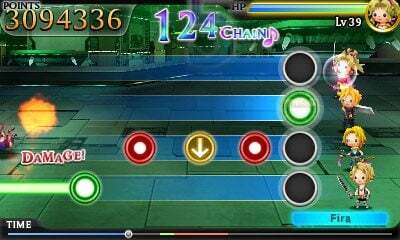 Developed by rhythm vets indiezero and published by Square Enix, Theatrhythm features over seventy songs spanning Final Fantasy‘s 25-year history to rock out and smash monsters to. Following the Chaos-Cosmos plot strains present in the Dissidia titles, the game marries RPG elements with rhythm-based battles set to the series’ most infamous tracks, and it’s all paired with some pretty adorable artwork. 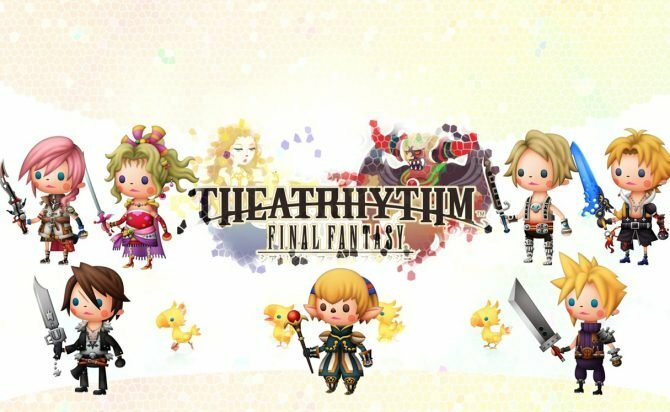 First Ultros is announced as a XIII-2 Coliseum battle, and now Theatrhythm gets an international release announcement? It’s like Christmas for Final Fantasy fans this week. Maybe tomorrow we’ll get some news on Versus!